At Kelly’s Studio of Dance, we look to broaden the horizons of girls, young and older, and we aspire to teach them to look not only at themselves, but at the impact that they can make on the community and on the world. With this in mind, we are having a Back To School-Supply Drive. 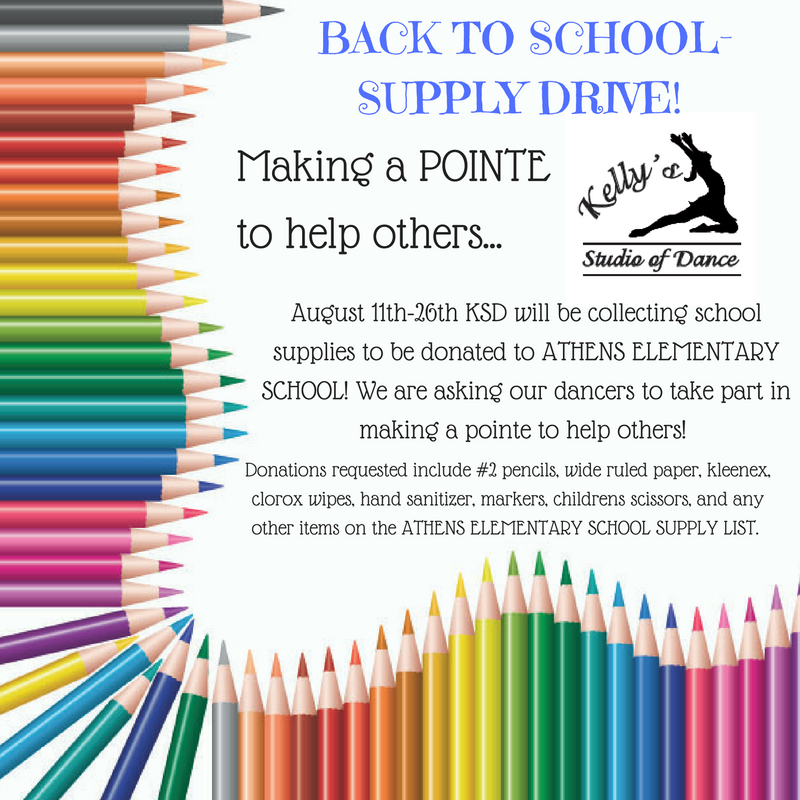 We will be collecting school supplies through the 26th of August to be donated to Athens Elementary School. We are asking our dancers to take part in making a pointe to help others!